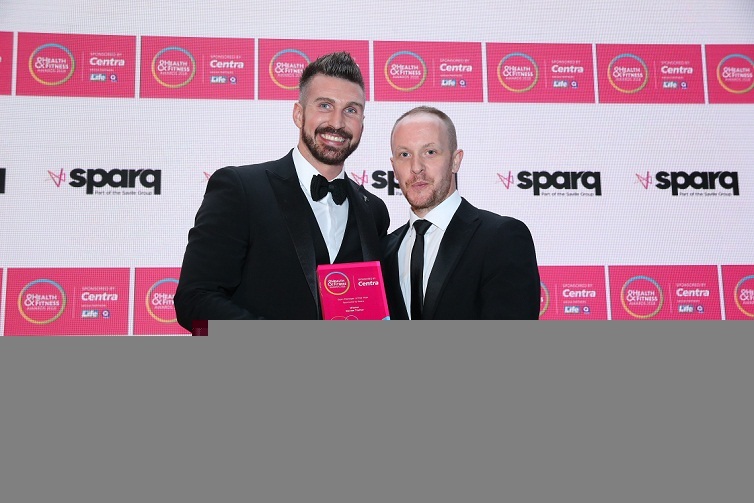 A Newry gym manager has won a prestigious accolade at Northern Ireland’s inaugural Health and Fitness Awards sponsored by Centra. Declan Trainor from The GYM Newry was named Gym Manager of the Year sponsored by Sparq. The awards event was held in the Crowne Plaza Belfast and attended by 500 guests. It celebrated the outstanding achievements of the local health and fitness industry and was presented by Strictly Come Dancing star and health and fitness advocate, Gemma Atkinson and Q Radio’s Ninja Warrior Ibe Sesay with entertainment from BBC’s The Blame Game funny man, Colin Murphy, and local singer Emma Horan. There were 20 awards across 16 categories recognising the outstanding commitment and contribution from Northern Ireland’s top health and fitness individuals, companies and community engagement initiatives. They were independently judged by a highly experienced panel from the health and fitness industry made up of former Ulster, Ireland and British Lions rugby star Stephen Ferris, Centra Ambassador and leading Northern Ireland nutritionist Jane McClenaghan, leading personal trainer Ian Young, fitness blogger Aly Harte and Sunday Life Editor Martin Breen. Sarah Weir, Director of Weir Events and Creator of the Health & Fitness Awards said, “Congratulations to Declan Trainor for winning Gym Manager of the Year. The awards have been created to celebrate the achievement and excellence of this incredibly hard-working industry. Jennifer Morton, Centra Brand Manager added, “The Health and Fitness Awards sponsored by Centra are a fantastic way to recognise the hard work, passion and dedication of people in the health and fitness industry here.